Changes in the NFL are as natural as changing your socks. Unless you’re Steve Urkel from the ’90’s sitcom “Family Matters”. Because I don’t think he ever changed his socks. 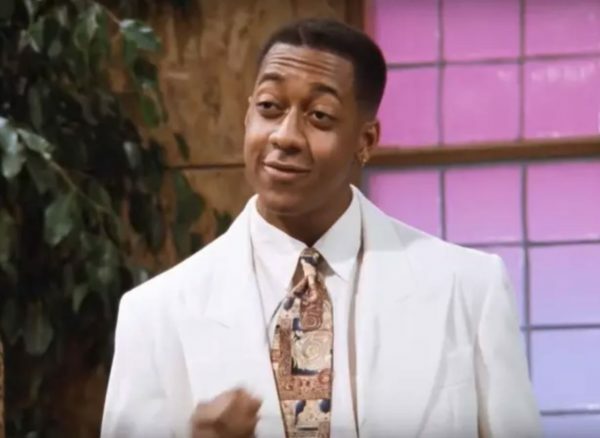 Except for that time in season 5 where Urkel devised a plan to win over Laura by transforming his DNA using a serum that suppresses his “nerd genes” and brings out his “cool” genes, thus resulting in his alter ego known as Stefan Urquelle. And probably new socks. Yes, that actually was a plot line from “Family Matters”. 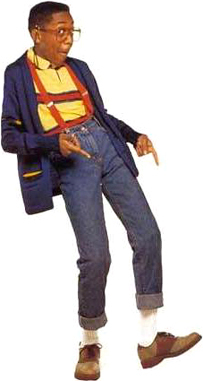 Apparently, in 90’s, being cool only required you to wear a blazer. Anyway, you get the point. There are some things you can count on every year in the NFL, including new rules changes, new protocols for player safety and players moving teams. 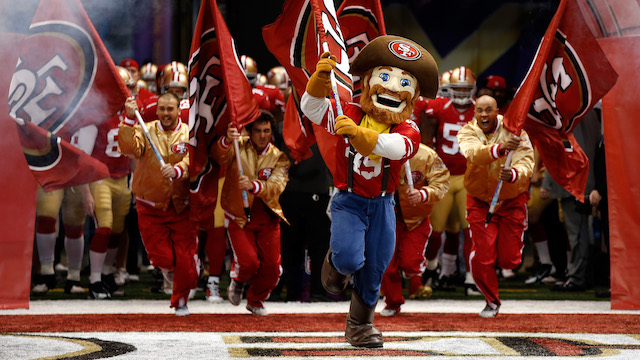 Sourdough Sam, the San Francisco 49ers mascot, a gold rush prospector, will be welcoming a new member, as least for the remainder of the 2017 season. And he, as usual, will be hoping to strike gold. Jimmy Garoppolo, who longed to be a starter in the NFL, waited patiently behind Tom Brady of the New England Patriots. But with Brady showing little signs of slowing down, Garoppolo has been given an opportunity…and not for the New England Patriots, as they’ve parted ways with Garoppolo instead of signing him to a multi-million-dollar contract as a back-up. I’ve already discussed a bunch about Jimmy G’s professional and personal life in Part 1 of this article way back in May of 2015 when we all thought he might start in lieu of a suspended Brady (which of course didn’t actually happen until 2016), so feel free to go check it out for a refresher. But since it was so long ago, here’s an update on where things stand for Jimmy G.
Jimmy Garoppolo with San Francisco 49ers. This season, the Patriots back-up (back-up) quarterback Jacoby Brissett was traded to the Indianapolis Colts. Starting in lue of Andrew Luck, Brissett currently has 2,368 passing yards with a 60.7 completion percentage, 9 touchdowns, 5 interceptions and a 36 quarterback rating. The Colts are currently at a 3-8 season and last in the AFC South. Brissett ended up not being the only New England Patriots quarterback to leave. No, I’m not talking about Tom Brady, but rather the aforementioned Jimmy Garoppolo, who was traded to the San Francisco 49ers on October 30th. Riding the bench for the season, Garoppolo got his first opportunity to play as a 49er in week 12 against the Seattle Seahawks. Garoppolo completed 2 attempts for 18 yards, a touchdown and a quarterback rating of 100. So what’s next for Jimmy G? Currently at 1-10, the 49ers are last in the NFC West. Not so terrible when considering that the Cleveland Browns are 0-11 for a second year in a row. With his first start of the season, Garoppolo is looking to prove week 12 wasn’t a fluke and his 100 QBR was well deserved. I guess we’ll see in week 13 when he faces the Chicago Bears and their 15th ranked pass defense at Soldier Field. As for the 49ers, they’ve only traded for a quarterback 14 times in the history of the team (going all the way back to 1954), but the last time it was really successful was in 1987 when they traded with the Bucs for Steve Young in exchange for a 2nd and 4th round pick. I’d say that qualifies as pretty good deal. But the jury is still out on how Garoppolo will measure up. Jimmy Garoppolo’s New Contract with the 49ers. Garoppolo currently has a base salary of $434,158 and no bonus. In 2018, Garoppolo becomes an unsigned free agent. I suspect he’ll pull quite a bit more than his current contract, regardless of how he performs this year. What the New England Patriots got for the Jimmy Garoppolo Trade. Garoppolo was drafted in the second round by the New England Patriots in 2014. It seems only fair to give a 2nd round pick in trade. Garoppolo isn’t a rookie. We’ve seen him play. Of course, it was in the New England Patriots’ system under Bill Belichick. But, being traded to the 49ers might be the opportunity that Garoppolo was looking for as a starting quarterback in the NFL. Through his NFL career, Garoppolo has played in 18 games. He has a 67.7 completion percentage, 708 passing yards, 6 touchdowns and 0 interceptions. Garoppolo’s biggest break came in 2016 during Tom Brady’s suspension, starting in the first two games of the 2016 season. Unfortunately, Garoppolo was sidelined after week 2 with an injury to his shoulder. Since with the Patriots, Garoppolo has won two Super Bowls as a back-up to Brady (2014 and 2016). He didn’t play, but he still got a ring. And isn’t that what counts in the end? Jimmy Garoppolo is still single, ladies (if anyone is interested). And I’m assuming you all are, since the New York Post rated Garoppolo one of the “11 hunkiest quarterbacks of the NFL” way back in 2014. In fact, the article specifically stated “[w]ith dreamy bedroom eyes and a dapper wardrobe, he will certainly be at the top of Boston’s hottest bachelor list.” And if someone from New York is going to say that about someone from Boston, it’s got to be true. Kind words along those lines don’t happen often in that situation unless accompanied with a seriously sarcastic tone. Although I’m not entirely sure what “dreamy bedroom eyes” are. I’m assuming it’s not akin to lazy eye, but unless we can get a clarification, I’ll just leave that to your imagination. And keep it PG-13, OK? This is a family website. Sheesh. Currently, the main lady in Garoppolo’s life is Mom. So good luck competing with that. Jimmy has three brothers, Tony, Billy and Mike (listed in no particular order). And who knew that there was a National Brothers Day? Mike appears to be married to Briana Catanese, but the rest appear to be single. So, perhaps you have more than one available option? Still Can’t Get Over the Loss of Jimmy Garoppolo from the New England Patriots. 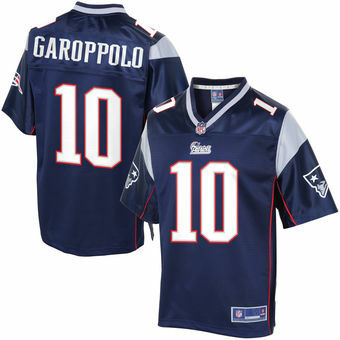 And just in case you’re a Pats fan that was really counting on Garoppolo taking over for the Brady when he retired, and are in complete denial, there are still Pats Garoppolo jersey’s for sale…if you want it bad enough. And you wear Youth Sized clothing. In which case you’re either a kid, or you might need some counseling.